Have a bad credit – Think before you choose payday loans! If you are looking for extra cash at hand or have immediate cash need and your pay date of the week is still a week away then you might think of considering payday loans. Payday loans can assist you in managing such emergencies but only for a short term basis. Payday loans are available online as well, these loans can be taken within matter of minutes and the lender requires not many papers and documents unlike other loans. If you are going through a rough patch in your life then choosing payday loans can help but making it a habit can worsen your situation even further. As easy as they might seem to get, the rate of interest associated with these loans makes it difficult for borrowers to repay. The rate of interest is 23% on every $100 borrowed. You can find several storefronts near your house or working area that offer payday loans. Payday loan lenders are required to be licensed by the Canadian payday loan association so that they follow various regulations passed by the provincial government. Lenders who do not abide by laws enacted by the government may have to pay penalties and even more money to the customers. Payday loan companies started working in Canada in year 1995 and since then several storefronts have opened up. The number of storefront in year 2006 was 1350, such a high number of storefronts in small amount of time show the profit associated with payday lending. People who fail to repay their loan amount within the agreed time period, may have to pay high fee as penalty. Also they might want to extend their payday loan time frame due to which they have to pay additionally fee, which is even more than the initially agreed amount along with the interest. Initially many people started taking payday loans because they were easy to get. Also people who were not getting approved by banking institutes for longer loan installments started going to payday lenders. Getting these loans were easy but eventually it gets really difficult to repay for those who are already under debt, once they become defaulters it gets really hard for them to come out of this vicious debt trap. There were several studies and surveys conducted by the government to see how these loans affected the customers. Thus a Canadian loan payday association as formed by the lenders to protect the customer and offer loan at a pre determined rate of interest, not less or more. Now all of the licensed payday lenders in Canada follow code of bets business practices that allows the customers to enjoy the rights that have been formed particularly to protect them. If you wish to apply for a Canadian payday loan then you must have a job, credit union or a bank account. The money loaned by the lender will go directly to your bank account. In Ontario, Alberta and British Columbia, you can also take payday loans online. 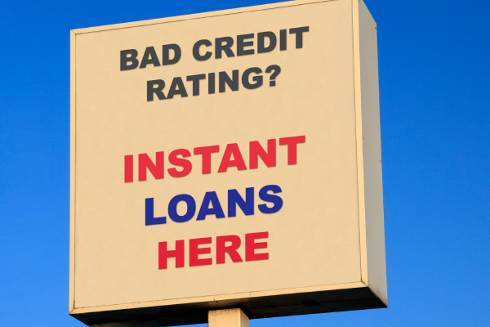 But it is important for the lenders giving out payday loans online have to be licensed and must tell the rate of interest they offer on their webpage.